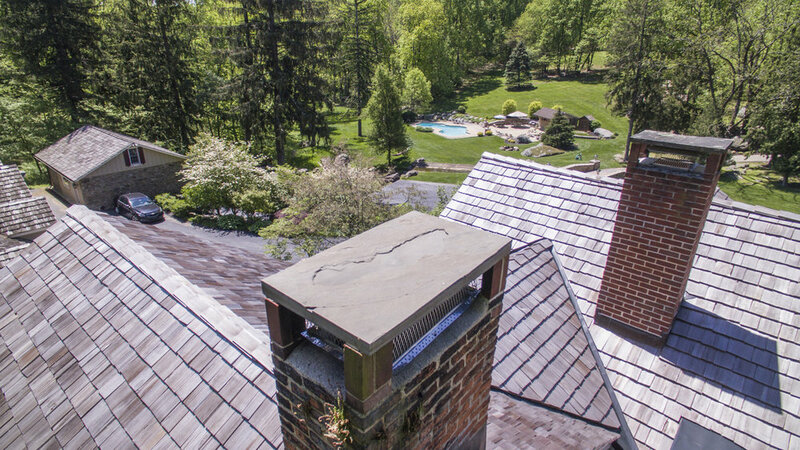 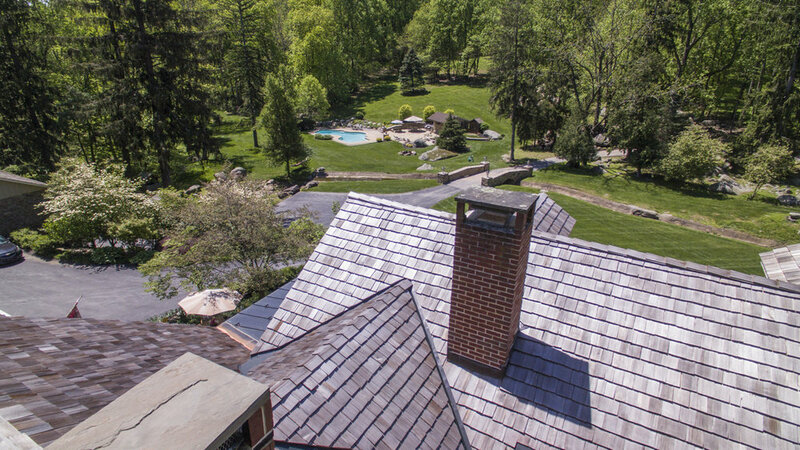 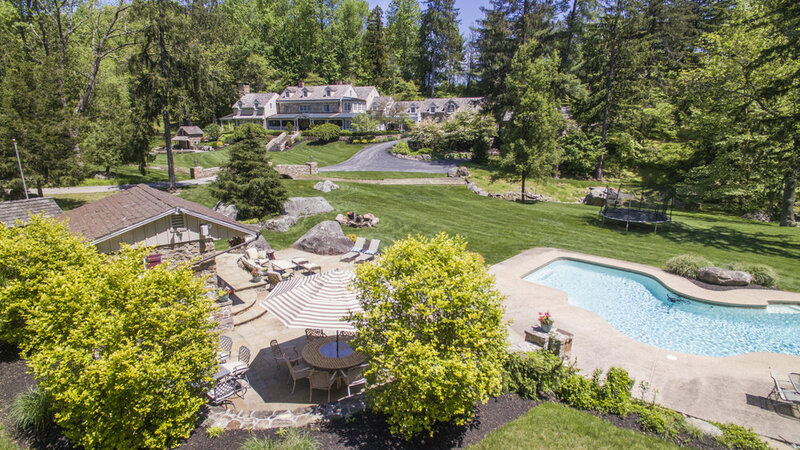 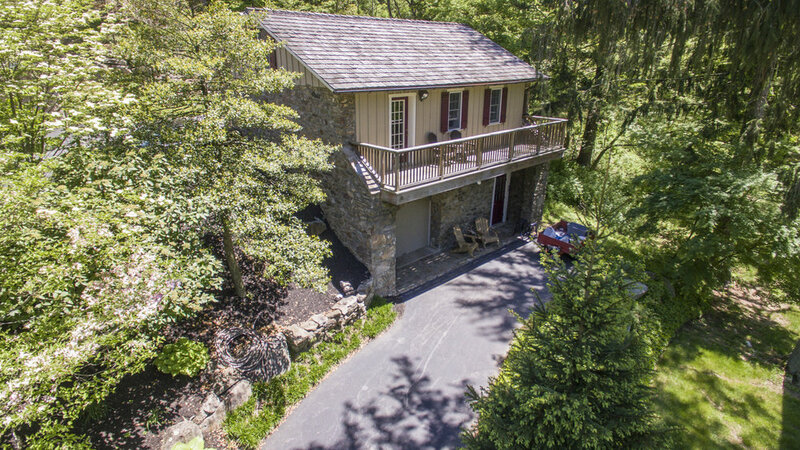 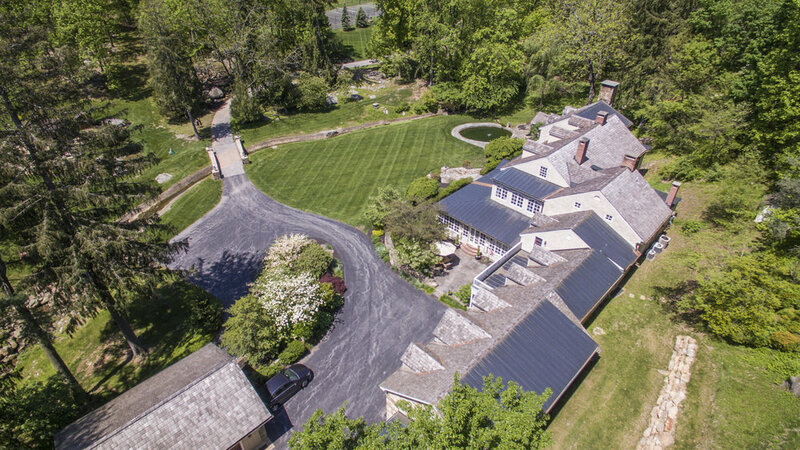 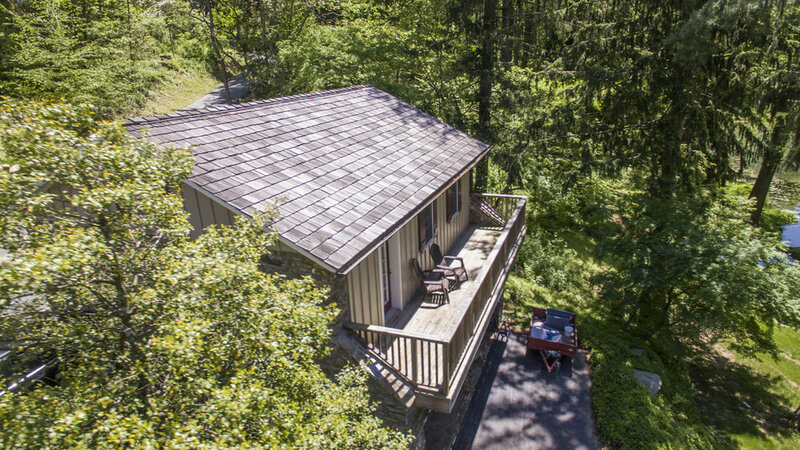 Rocky Creek Farm is set on an exceedingly private, park-like setting of 22.8 acres. 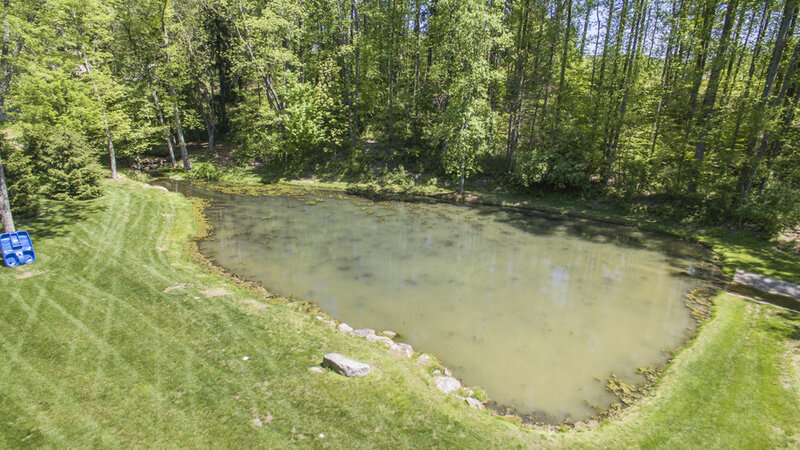 Enter this hidden valley via a meandering lane through the natural surroundings. 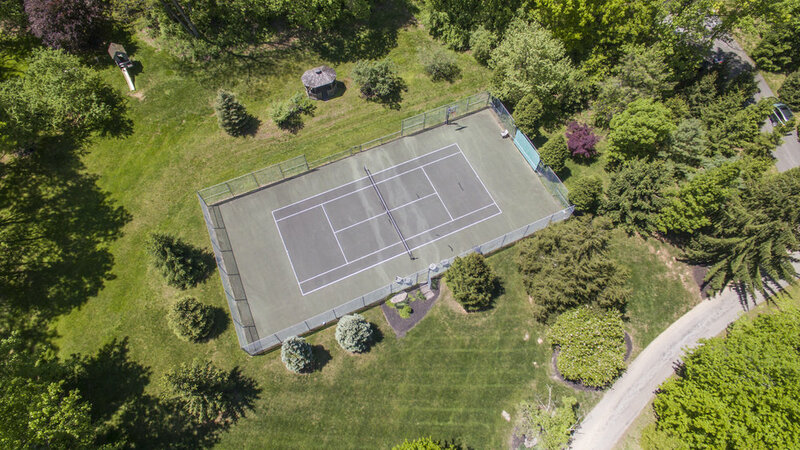 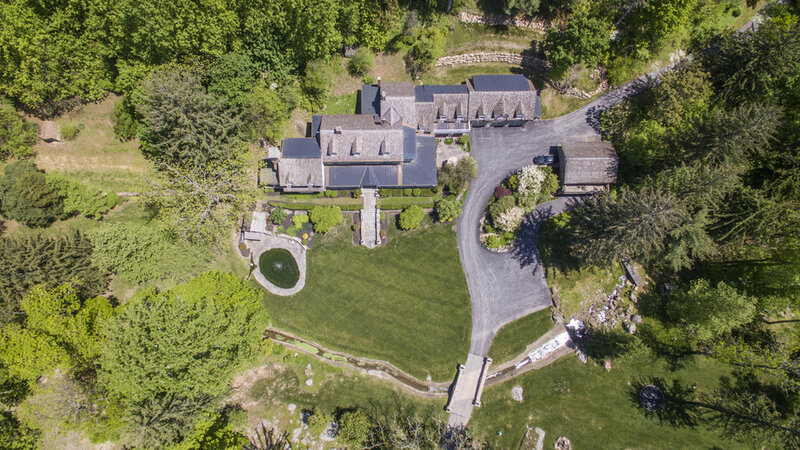 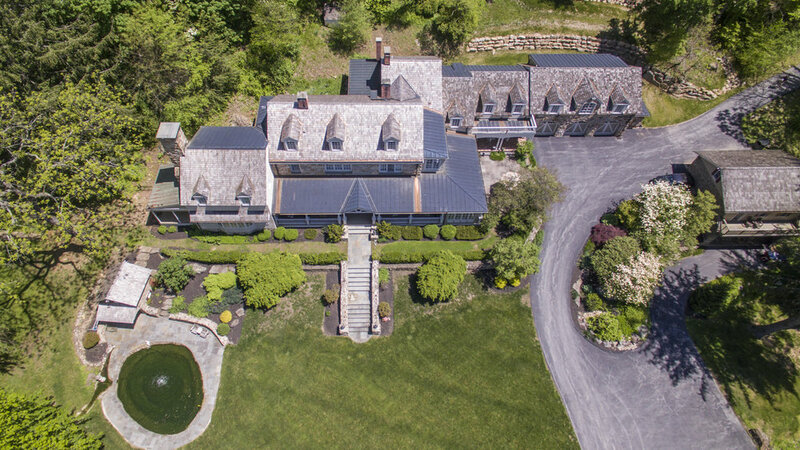 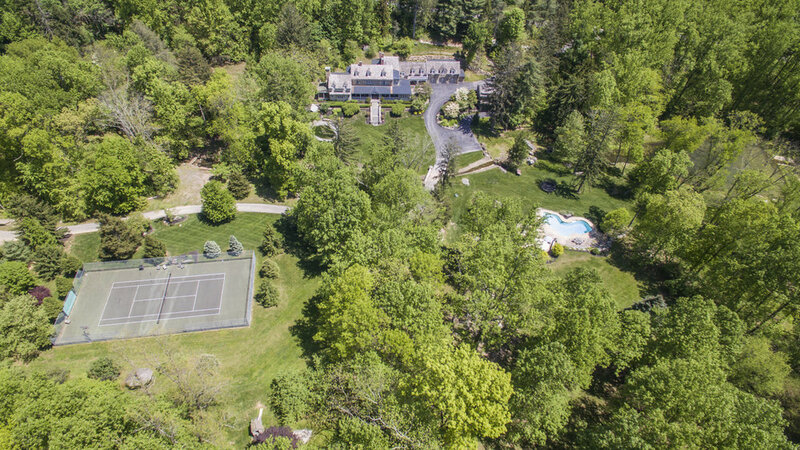 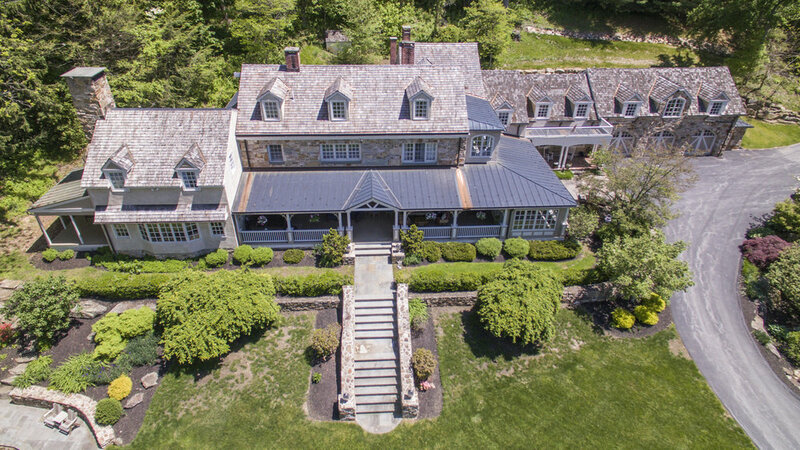 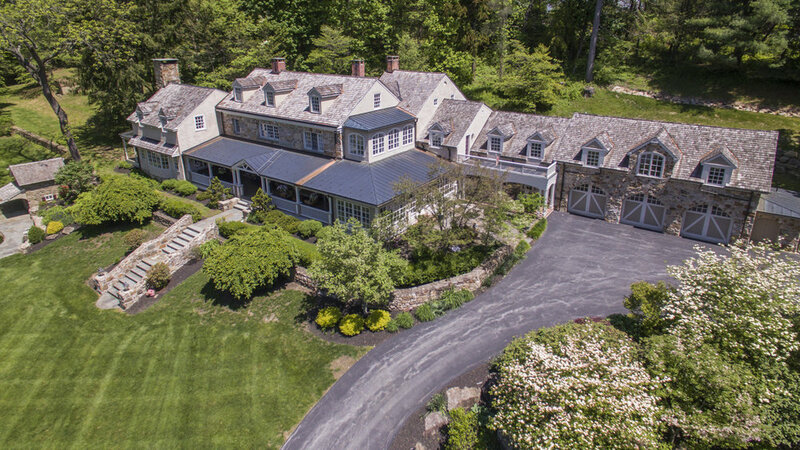 One passes the tennis court, pool and pool house complex crossing the stone bridge to the stately stone home.